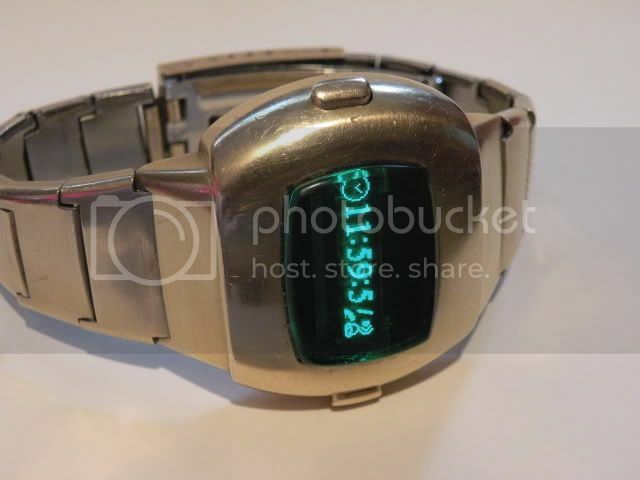 DWF - The Digital Watch Forum • View topic - My Frankenstein project! Cracking Frankenstein, looks even better than the original - when can I place my order! Thank you for all the compliments! I don't know about being an inspiration to others, LOL, I'm just a guy who likes things different. I have in my collection original Pulsars/Hamiltons, Synchronars etc., but I like things my way. I figure there's enough purists out there that I don't need to be one. I'll post pics of the different filters and let you guys decide which one looks best. I'll also take pics of the module itself. You're right Ed, it's such a cool piece, it's too bad it doesn't have a stopwatch function. Keep an eye on this thread because I've got one more hybrid up my sleeve. Also, that black chrome Executive had me thinking so I'm going to be black chroming something....won't be a Pulsar though. Okay, so I did some work this morning and sanded out some filters for the MIB2 watch. I used my Dremel with a sanding barrel to shape the plexi. I taped the top half of the barrel to make a pseudo flush bit. 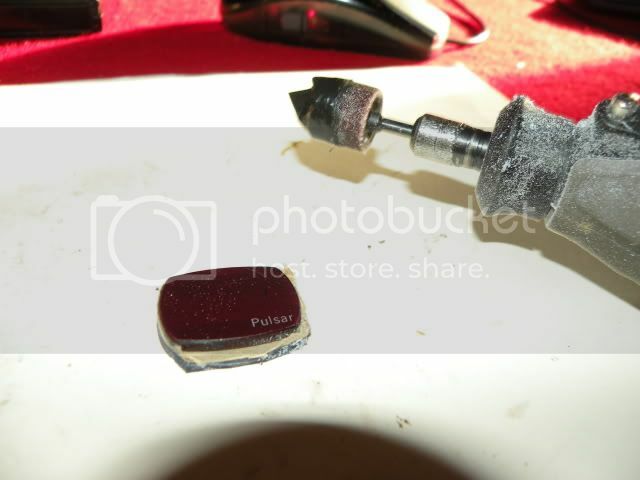 That way I couldn't scratch the original Pulsar crystal. The plexi was taped to the bottom using double-sided tape. Here is the darker plexi, it hides the module better but makes the display a darker shade of blue, not quite like the MIB2 watch in the movie. The plexiglass is a hair thicker than the original glass. I'm also going to try and bevel and polish the topside edges like the original. So, what is everyone's thoughts? If the lighter plexi was a touch darker it'd be a perfect match. I also like the look of the module showing through. 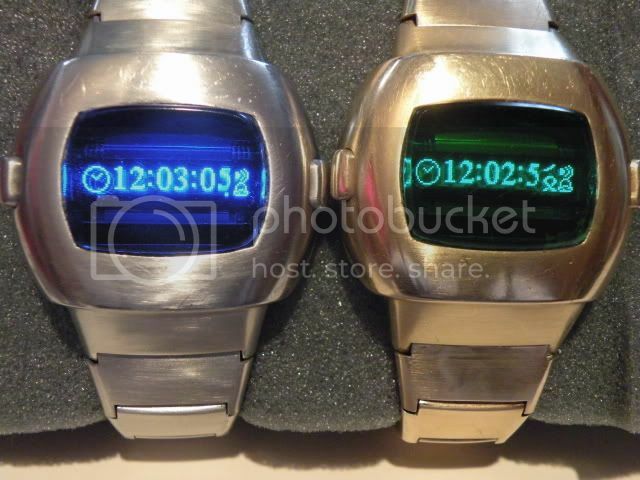 But, the darker plexi makes it look more like the original Pulsar crystal...hmmm. You asked for votes, so I'm casting mine for darker plastic...that modern circuit board doesn't really look that cool, IMO, so why bother. It is a bit of an about turn for me but looking at the two photographs the darker crystal looks the nicer of the two, giving a subtle but not over stated appearance IMHO. I suspect the photo's might be slightly deceptive? The module looks to be clearly visible through the crystal and the display looks bright and brisk with the darker crystal. I prefer the darker blue. You could try and mask with blue or black paint on the inner side. Start with a CD marker pen (or the like), easy to wipe off. Okay, so 3 votes for dark, 0 for the lighter. And I just started beveling the lighter one. I'll switch to the darker one and see if it grows on me. The photos are slightly deceptive, the dark is not as transparent as the picture shows. Back to sanding!! Looks great in dark blue! I was wondering if that OLED had a small piece of removable blue film that would help the viability if removed? 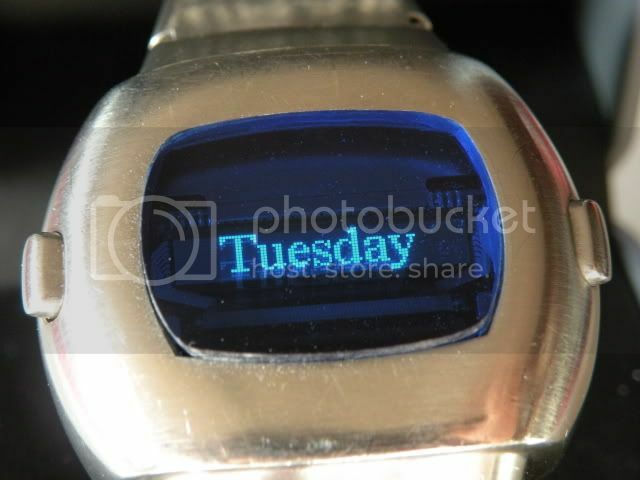 I think it was Ed that mention in the Diesel OLED watch thread I started that there was a small piece of film that could gently be removed making the OLED white in color? Last edited by BENRUS on 17 Nov 2009, 23:58, edited 1 time in total. Re: : My Frankenstein project! I'll try again evetually and hand file the corners but for now I'm pleased with my work. See the next post for the final results! Never thought I'd actually get something close to the movie prop but this'll definitely do. Thanks to Ed for his help and "inspiration" to get this project up and off the ground. Hope you all enjoyed it. This one also had a piece of smoked film that made it dimmer. The OLED is actually a very bright light blue. BENRUS wrote: Looks great in dark blue! 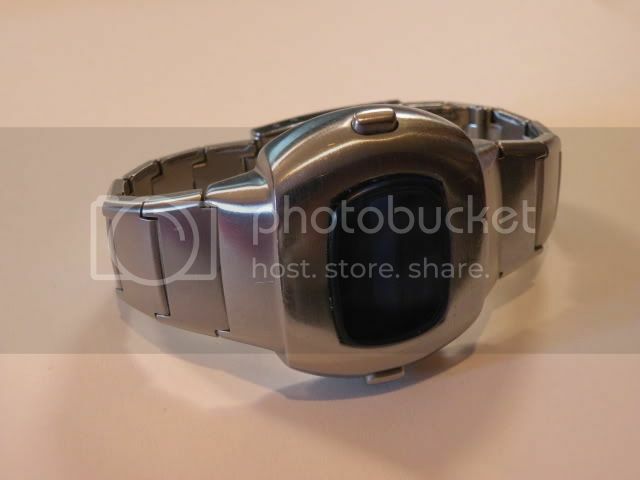 I think it was Ed that mention in the Diesel OLED watch thread I stared that there was a small piece of film that could gently be removed making the OLED white in color? Curious to know how much it cost to produce and how difficult it was to do! 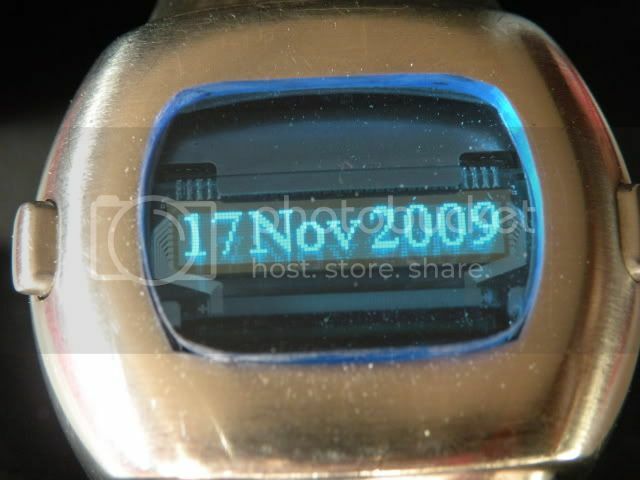 Date/Command case/bracelet/clasp was from retroleds (pm him for a price). Or eBay if you can snag one for cheap. Reed switches from a dead Pulsar module - Free. It only takes a couple of hours to grind the corners and solder in the reed switches. The trick is finding the right distance from the button to activate the reed. Creating the blue filter probably took 3 hours total from routering the shape to beveling/polishing the edges. None of those prices include shipping. The hardest part now is to find a cheap watch containing that module. 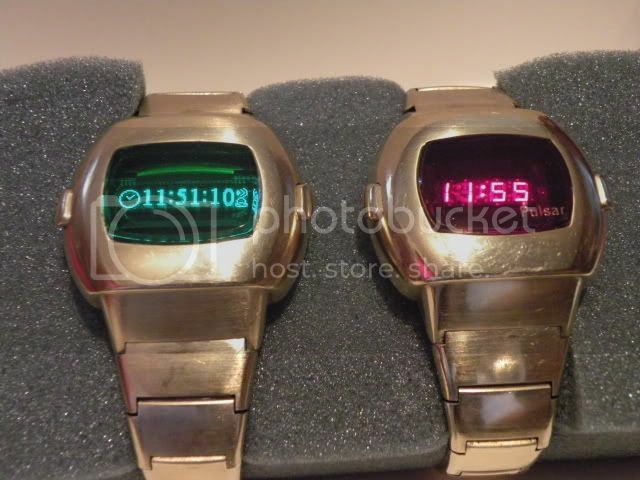 The Lucky Brand watch is now out of stock @ overstock.com, and I just bought one blue and one red on eBay out of pure luck. I've seen the blue Bench version, but only available in the UK, and the red DKNY on eBay for about $109US. If you're doing the red version you don't need the plexiglass, just use the original Pulsar crystal. 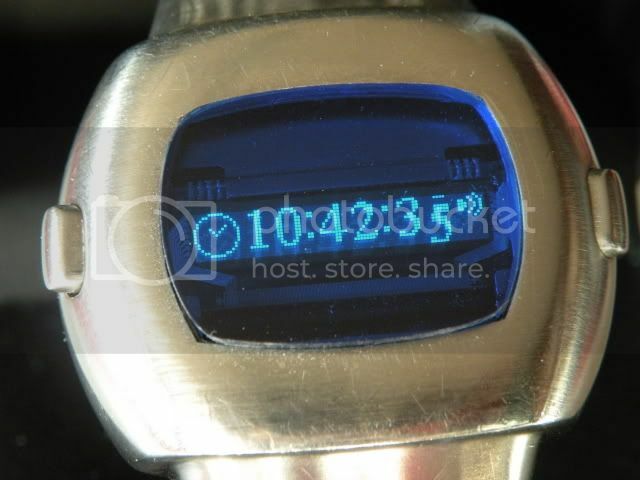 If you're not familiar with the module, it's OLED, dual alarm, 12/24 time, 2nd time zone, day, month, year. If it had a stopwatch, it'd be perfect. 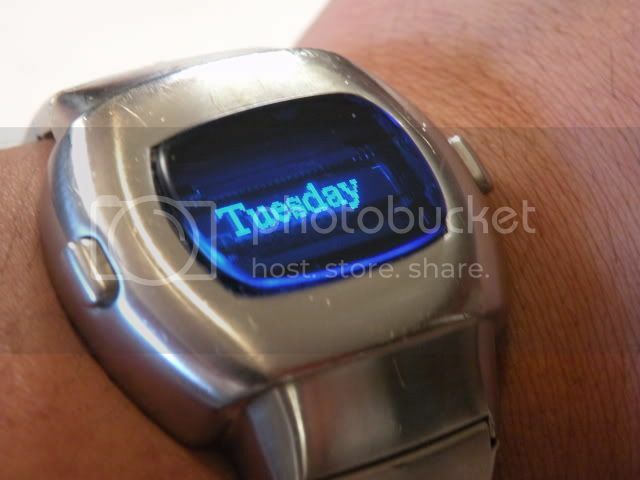 Maybe I have some anachronistic inhibitions, but would it be possible to find this kind of OLED displays without having to plunder a watch? Had the manufacturer printed some logo at the back of these displays? A friend of mine tipped me off this was sometimes the best way of finding odd parts. Acquire one (dead or alive), read what's printed on it, then search for it on the net. I looked at the display of this module and unfortunately they didn't mark it with anything visible to the naked eye. 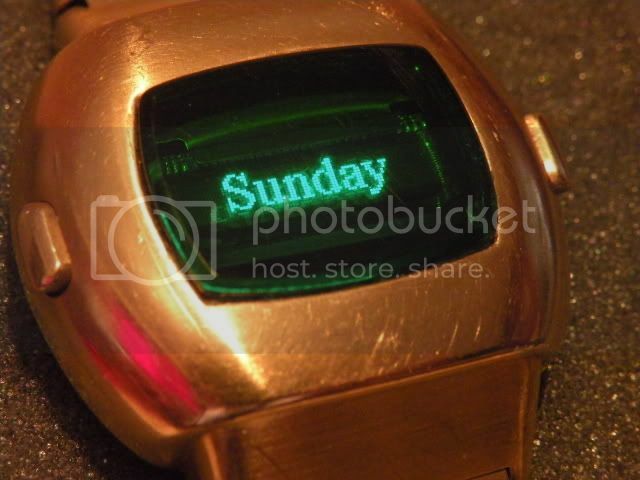 your_man_in_Hamburg wrote: Maybe I have some anachronistic inhibitions, but would it be possible to find this kind of OLED displays without having to plunder a watch? Nice work there Sully! The Green and Blue are really eye-cathing, just curious, does Lucky make a Red one too? Keep this up and who knows, you may even be able to sell a few of your hybrids here or on ebay?! 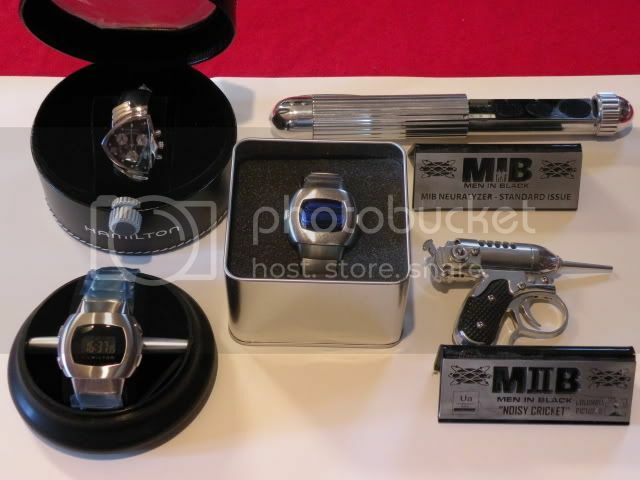 There is a "red" version of the Lucky Brand watch as well. I put "red" in quotes because the OLED is actually orange, not red, but works under the red filter. It looks really good under an orange one though. LEDluvr wrote: Nice work there Sully! The Green and Blue are really eye-cathing, just curious, does Lucky make a Red one too? Keep this up and who knows, you may even be able to sell a few of your hybrids here or on ebay?! It sounds like you have another project to work on Sully. A great little DIY exercise...BUT...a couple final minor details. 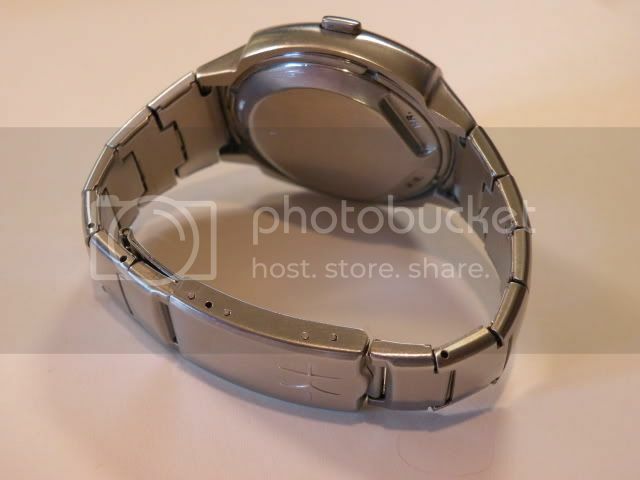 If you look closely at the wrist shot frame-grab, you can see the first link [that is, the link that attaches directly to the case lug] is noticibly narrower than the rest. That means a solid-link bracelet. And of course, there's the matter of the Hamilton logo on the crystal. The bracelet will be easier to deal with than the crystal, but I have a couple ideas I'm working on.